The current CCNA exams include simulated lab questions. The best way to prepare for those is to work with live networks using Cisco routers and switches. You should also make sure to do all the questions in the testing engine on the CD, as it contains a large number of simulated lab questions. You can also use the NetSim network simulator on the CD, or rent time via online labs. Regardless of how much time and effort you spend with hands-on practice, the following lab scenario can help you with your final preparation if you simply read through the scenario. Throughout the book, the portions that covered how to do something on a switch or a router focused on the specific topics covered in that chapter. 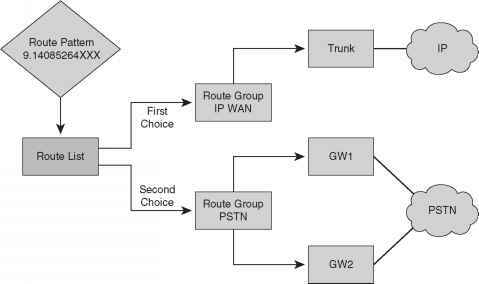 The scenario in this chapter touches on many of the topics in this book that are in some way related to configuration or operation of a router or switch. So, you can use this scenario as part of your strategy for final preparation for the exam. If you have enough time, review all the parts of the scenario. If you have time, try to perform all the tasks outlined in Steps A, B, and C. However, if you have limited time, you might want to review the problem statements and then review the answers for each of the three parts. At least you will get a good review of some of the more important commands that could be on the exam. If you are reading this chapter as your final review before taking the exam, let me take this opportunity to wish you success. Hopefully, you will be relaxed and confident for your exam—and hopefully, this book will have helped you build your knowledge and confidence.